A guest post by Peter Norton. 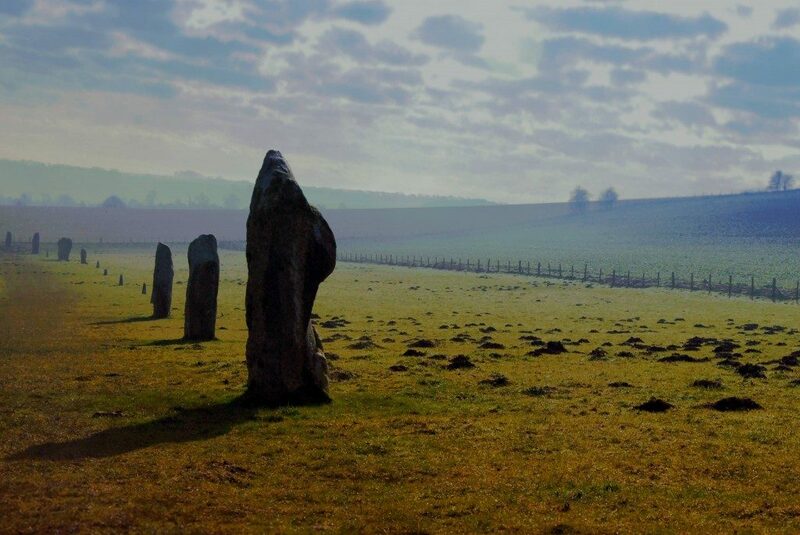 Avebury is 33 miles from Salisbury SN8 1RF, a sweeping partial avenue of erect stones, missed by many who just visit the Avebury complex. It is roughly a 2 mile walk with parking at the Avebury National Trust car park covering the length of the Avenue and back. 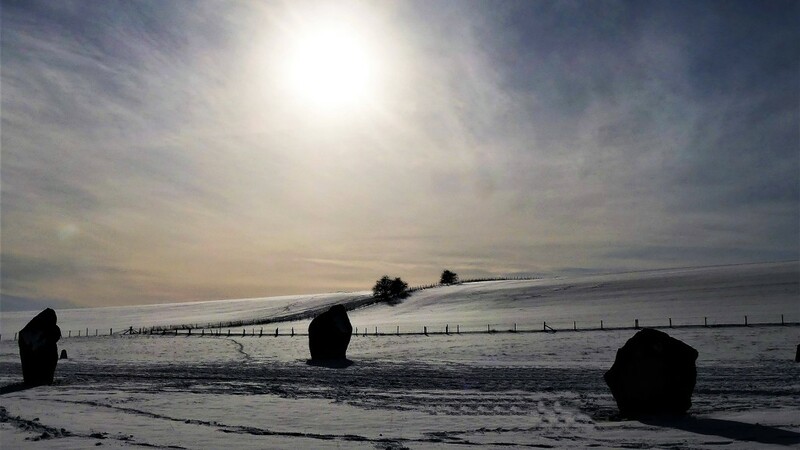 The West Kennet Avenue connects the south entrance of the Avebury Henge to the Sanctuary one and a half miles away on Overton Hill. The Avenue is thought to have been constructed around 2400 BC. Spring with Waden Hill in the background to the west. 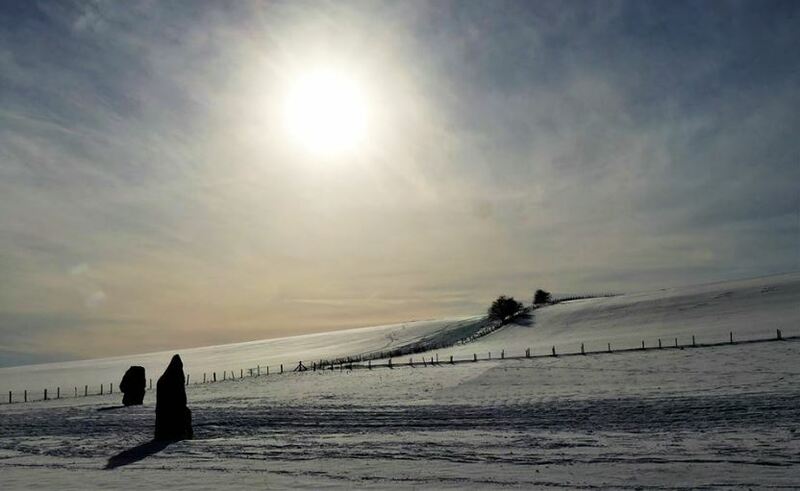 It is believed to have consisted of about 100 pairs of stones spaced at intervals of 80 feet, with the Avenue being about 50 feet wide throughout much of its length. 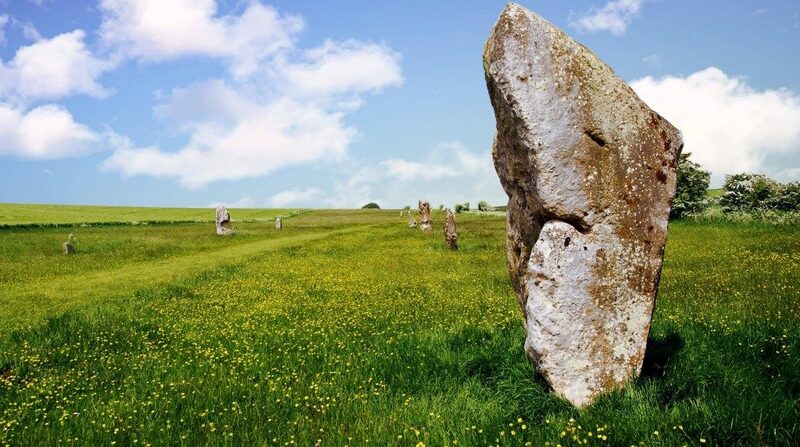 As in common with the rest of Avebury, many stones were to be buried and many destroyed. The stones varied quite considerably in size, ranging from 4 to 13 feet high. John Aubrey (1663) recorded it as being fairly complete, but when Stukeley (1722) visited it he found only 72 stones, so much of its destruction was already taking place. By the time Alexander Keiller arrived on the scene (1930s) only 4 remained standing. It was to be Keiller’s excavations and subsequent restoration of the surviving stones he found that provided us with the spectacle we see today. Even with so many of the stones now lost, the appearance of the Avenue still impresses. He discovered that there was evidence of burials at the base of some of the stones. These were associated with the Beaker Folk who were coming into Britain from the continent during the late Neolithic period, and also with the advent of the Bronze Age. The stones of the Avenue are of male and female types and were deliberately erected in pairs, with a male stone facing a female stone and vice versa along the length of the Avenue. Female stones are crudely diamond-shaped, male stones are more pillar-like. More on West Kennet Avenue here.